My understanding of the primary goal of SkillCorps and the Global Autism Project is to support centers or communities around the world in their work with individuals who have autism and other disabilities. This would be done through the principles of Applied Behavioral Analysis, with the goal of sustainability as our primary guide. The first few questions that was asked of me during my phone interview with a member of the Global Autism Project was how I felt about living outside of my comfort zone, my adaptability to change and how I felt about being a pioneer for a new program. Being part of the Global Autism Project has brought both the opportunity to support the Amaanyi Center in its beginning stages and to go through the process of being open and flexible to all that it would bring. That openness allowed for the flexibility to experience whatever the experience brought. Though the work at The Amaanyi Center was not what we expected it would be, it was as powerful and impactful as anything we could have every expected. We worked for trust, mutual respect and an understanding of cultural differences. That was accomplished through the preparing and sharing of food, dancing and talking with and listening to them. It was also accomplished through our own team meetings, in which we discussed the issues and how we were dealing with and feeling about them. Now that our work at The Amaanyi Center is complete in retrospect, I think that we embodied perfectly what the essence and intention of SkillCorps is. We have left seeds for The Amaanyi Center to take and grow with. I know that they have also left seeds within me. My personal intention before starting this trip, was to go through a transformation, knowing that I was in a transitional phase of my life. I knew that this experience was going to be a bridge from what I wanted to leave behind to what I want to move into. 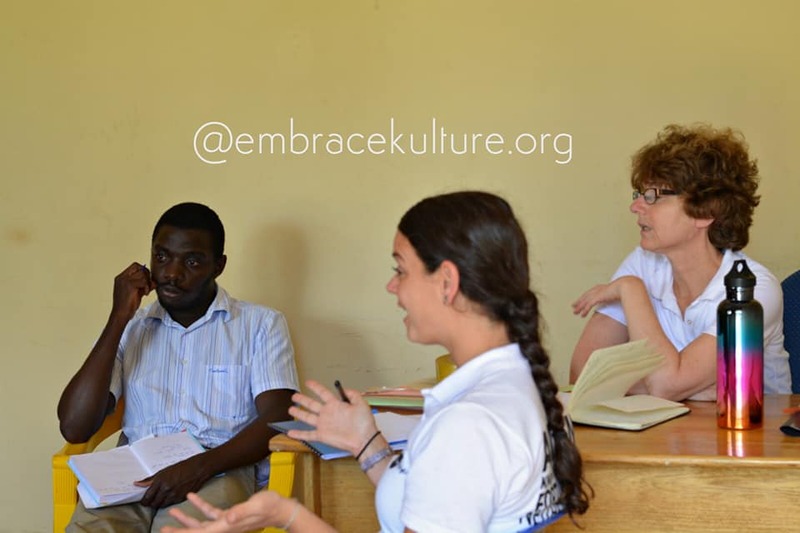 Through my work at the Amaanyi Center, feedback from my teammates and my own introspection, it has become very apparent that my passion and strength is in helping to train teachers both at home and abroad. I am hoping that this experience will be the springboard that will help propel me into the next stage of my career. I am deeply grateful for being part of the Global Autism Project and being part of the Uganda, November 2018 Team.